Engr. 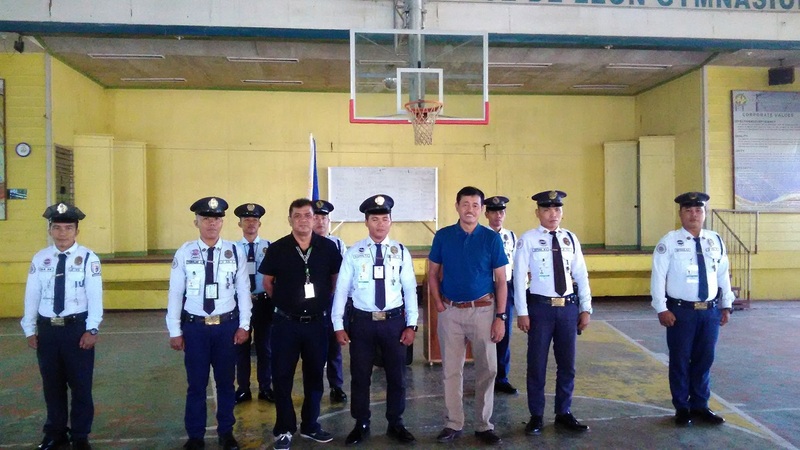 Nelson Lalas (third from right in blue polo t-shirt) attends his first flag ceremony as the Palawan Electric Cooperative (PALECO) acting general manager with the outgoing officer-in-charge Napoleon Cortes, Jr. (second from left in black polo t-shirt). Newly-installed Palawan Electric Cooperative (PALECO) general manager Engineer Nelson Lalas on Monday denied claims he was ousted from his previous job as general manager of the Camarines Sur Electric Cooperative (CASURECO-2) in the Bicol region. Lalas was reacting to a Bombo Radyo report in August last year from Naga City that claimed he was relieved from his post by the National Electrification Administration (NEA) on account of his alleged poor performance and the opposition of the City Council of Naga. Speaking to reporters on his first day on the job as PALECO general manager, Lalas said he voluntarily left his previous job after successfully upgrading the status of the Naga-based cooperative. Contrary to claims that he was removed from CASURECO-2 because he failed to implement several projects on time, Lalas explained he was the one who left in September 2018 because he had already completed his assignment by transforming the power cooperative into Triple-A Category. He claimed that CASURECO-2 was certified as the “most improved electric cooperative” by NEA during his term, after serving as its acting GM for two years. “The truth is when I assumed, CASURECO-2 was only a Category B electric cooperative. But when I left last September, it was already upgraded to a Triple-A cooperative,” Lalas said. He said that CASURECO-2 was “no longer an ailing cooperative “when he returned to NEA where he has worked for 37 years. “Ang aking pagbalik sa (My return to) NEA is for the reason that the cooperative is no longer ailing. Napakaganda na niya kaya (It’s now okay that’s why) we are also looking forward to a local manager there,” he said. Lalas added his role in the PALECO as acting GM is to improve its technical operations and viability. He said he will start his assignment by meeting with the personnel of the PALECO, particularly the technical department. Lalas said the PALECO board of directors headed by its chair, Jeffrey Tan-Endriga, already approved on January 4 the “sustainability plan” for 2019 of different departments. “The sustainability plan for this year 2019 ay naaprubahan na ng board (has been approved by the board). Every department plan has to be relayed also to individual department managers for effective implementation,” Lalas said. Lalas assured he is in Palawan to help straighten out its power dilemma, and not to become part of its problem. Lalas’ designation was confirmed on January 4 by the PALECO BOD, according to director Maylene Ballares in a separate interview Monday. “Maayos siyang kausap. Alam niya ang gagawin niya sa PALECO as project supervisor and acting GM. Ang isang ikinatuwa namin sa kanya ay noong sinabi niya na hindi siya uupo kung hindi namin siya ico-confirm. Nakita namin na may respeto siya sa proseso at setup dito (He’s a nice person to talk to. He knows what he’s going to do in PALECO as project supervisor and acting GM. What we appreciate about him was when he said he will not assume office if we will not confirm him. We saw that he has respect for the process and the setup here),” said Ballares.